I work in a field where many people use terms like chakras, energy centers, and imbalances in the body and nervous systems. This can be confusing and scary to people unfamiliar with modalities outside of western medicine. There are many ways and cultures that see and treat the imbalances in our body, mind, and spirit. In my field, we view them all as important. When one is out of balance, it affects all the others. Many therapists and practitioners include your emotions, energy, and intuitive aspects to assist in greater impact of healing of illness, injuries, and imbalances. The gift is working with the client’s own body’s ability to heal itself. I believe we (as practitioners ) are more of the helpers/assistants of humans rather than the healers. Your body, mind, and spirit do the actual healing. To think of it a little more simply , we are made up of energy, we put off energy, and we interact with other energies in the world/universe. For example, it may not easily be seen with the naked eye, but we have a magnetic field of energy that surrounds us and our cells need a source of energy to run, walk, and sleep. Basically we do not exist without energy. When we have imbalances of our energy whether it be from our emotions, feelings, stresses, worries, experiences, or pain, it often affects our body, mind, and spirit. The good news is there are many avenues and ways to offset the imbalance and add to the deficits in our lives. In my chakra certification, I was trained in working with the seven main chakras in the body. There are many throughout (or thoughts about) the body and more than one modality or school of thought/practice. The seven chakras that I’m referring to are wheels of energy that align from the base of the spine through to the crown of the head. You can imagine or visualize them as a swirling wheel of energy where matter and consciousness meet. This energy is the life force within each of us. This energy helps keep us healthy and alive. Each chakra corresponds to nerves and major organs as well as psychosocial, emotional, and spiritual states of being. Since everything is moving (energy is always in motion), it’s essential for our chakras to be open and aligned for well-being. If there is a blockage or slowing down of energy in our chakras we find the imbalances in our health and life. Through awareness or working with a trained therapist in this area, you can assist your energy chakras for mental, physical, and spiritual well-being. I find often working with clients when we pay attention to the energy centers that are out of balance, you can align and help the body with its own super powers and “heal thyself.” The body is always seeking balance in its internal environment. Many people acknowledge the importance of our physical, emotional, and spiritual health, but may not be as aware of the balance in our energy centers. Balancing your energy can be a powerful and subtle way to enhance the balance of your body, mind, and soul. Whether you decide to educate yourself to work with your energy centers, or seek out a trained practitioner , it’s nice to know you have many healing tools available for you. Well-being can abound and you can further support it with balancing your energy. Something I think we all struggle with and have in common are self doubts. I have never encountered another human being who didn’t experience them too. Even with great experience and in our elements, we still experience some self doubt. The point I want to make is that no matter what you do, you will most likely experience some doubts along the way. Since it’s a dilemma that we all share, why not go for your dreams and callings anyway? You won’t ever get to a place that you will be fully prepared and are guaranteed it’s the “right” step. I don’t care how much rationale and justification you’ve given it. You will still have some doubts here and there. The good news is you don’t have to have all your ducks in a row or circumstances in place to go for those dreams and goals. The steps seem to just unfold as you go. We often stay in our comfort zones or what we may consider stability over the fear of the journey. When we stand with our excuses and limitations we hold ourselves back from the progress and potentiality of our goals and dreams. Is it going to be scary? Probably. Are you going to have doubts? Most likely. No one gets anywhere without them. Even within your safe comfort zones. So why not go for the the things that bring you joy? You can also go about it a couple of different ways. First you can thank the doubts for letting you know you’re right on track. Many of our doubts have been planted over time from other fearful people. We adopted them and filed them in our minds. So when the naysayers pop up in your mind or in an actual individual, know that fears generally come from our egos and not our hearts and intuition. Fears are often made up scenarios and using our imagination poorly. I can also say many of the people you admire and entertain the thoughts of wanting to be in their shoes also felt some fears and had doubts as well. The only difference that helped them get where they are today is to keep moving forward despite the doubts and fears. Regardless of how “sound” of a decision you think you’ve made, chances are self doubt will creep in. Another way to approach those doubts is to talk back to them. Thank them and put them in their place. You don’t have to accept them as truth. Most often they really aren’t true anyway. Rather than fighting in your mind constantly, thank the doubts for trying to look out for you and help you, but acknowledge you are moving forward anyway. It’s your life. You don’t have to let your mind steer everything—really! I have found the more I practice, the easier it gets. I still get self doubts too, but I don’t let them stop me so much any more. And they have lessened over time as well. I have a wonderful friend and colleague named Eleanor. We get to explore many creative endeavors and she not only helps me with my creative side, her friendship offers much support and therapy in the process. We often joke about the “committee” in our heads. It’s like a little panel of voices that compete for attention. There is the judge, the doubter, the worrier, the naysayer…and so on. I’m sure we each have different voices on our committee and hopefully you’ve got a few positives in there too, but the point is we all have a committee. When I struggle with my committee, my friend Eleanor will call them out. 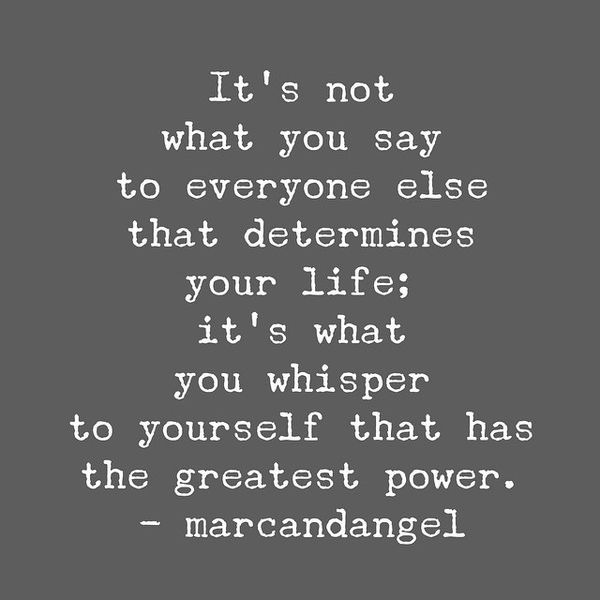 She will say, “Now, is this how you really feel, or are you allowing your committee too much air time?” Just because they have a voice in your mind does not mean you have to accept them as your truth. Nor does it mean you have to hold yourself back from your own goals and dreams. You walk through them with the doubts. You can survive self doubts and make some peace with them. Knowing that they affect most of us, it may help you navigate them better daily. Allowing doubts to move through you without adopting them for beliefs can help you to move forward with your dreams. The more you stand up to those doubts, the more positivity you can allow in your mind. You get to choose which thoughts are true and good for you, and you are allowed to let many doubts go. Caring for our state of mind daily is as important as eating, bathing, or sleeping. Frequently I notice how easy it is for us to get caught up in our daily activities. We rush and move through the actions without taking care of our thoughts. It’s like we are on a rushed time clock to get things done. As you move through your day, be aware of whether you are checking off tasks and chores, or taking time to be in the moment of what you are doing. 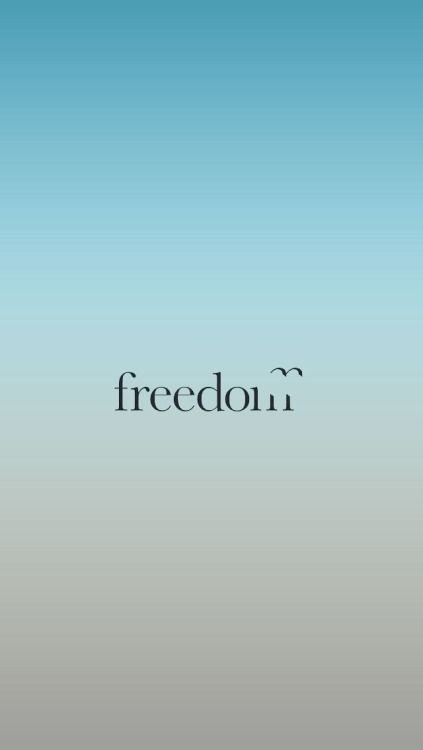 Are you mindful when you are doing the laundry, dishes, or picking up the kids? Are you joyfully present in those moments or rushing to get through them? When you sit down for dinner are you present with your food and family, or busy thinking about the next things that need to be done? We can get carried away in thoughts of our daily to do list rather than engaging ourselves through each activity. When you are caught up in thought of the next thing rather than the thing/activity in front of you, you are not present. You may be moving through the motions accomplishing things, but you are not in the state of mind of peace, enjoyment, or presence when your mind is elsewhere. It takes a little practice of being mindful each day. The more you try, the more you may find out how often you are not being present. You miss many blessings and much peace when you allow your mind away from the present. You may be breathing more shallowly, not allowing sufficient oxygen to your brain. You may be stressing or worrying over events that aren’t even happening yet. When you aren’t careful with your state of mind, you can cause more harm than good. Especially when it comes to your health. Your thoughts direct your brain and communicate with the rest of your body. Health does start with your state of mind. Your brain is that powerful! Isn’t it cool to know that you get to choose your thoughts and be a team player in your own health and happiness? It’s not up to default or circumstances out of your control. You get to contribute to how your life unfolds. You can choose happy, healthy thoughts every day. You get to choose how you spend your energy and gauge your state of mind. In every moment regardless of what you see, hear, or experience , you get to choose how you feel and how you respond. 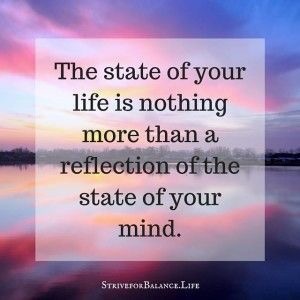 You can care for your state of mind like you would your child, your pet, or anyone very special in your life. Your state of mind deserves the care and attention you would give to your loved ones. Just as you would lift the spirits of your child, spouse, or perhaps your best friend, you need to lift your state of mind daily. The more you practice care in your state of mind throughout each day, the better you habitually will become. And with small steps continuously, you can incorporate a healthy mind with a clean body, full stomach, or good night’s sleep every day. A healthy mind in turn results in more joy, peace, and happiness. These also lead to a healthy internal environment that your body has more power to take care of you. When you take care of your state of mind, you are taking care of everything else. By empowering our thoughts and feelings, we are empowering our overall health. If your mind is going to be busy thinking every day, you might as well choose how you want to take care of it. Be mindful of what your brain is saying to your body. Choose how you want to feel and function. You are not without options. Isn’t that nice to know? Be good to your state of mind. Care for it and see how you mind, body, and soul improves. Slow down in each chore and task in your day to experience them more fully and you can create a state of mind to experience them more joyfully. I think what often trips us up in life are our vulnerabilities. Being brave enough to share them without the worries of judgement. We often hide behind our masks and labels rather than share our vulnerable gifts in the world. We all have them. And often they are hidden in those subtle connections. When we have the courage to show up and be ourselves, we have a better chance of connecting on a deeper level with one another. 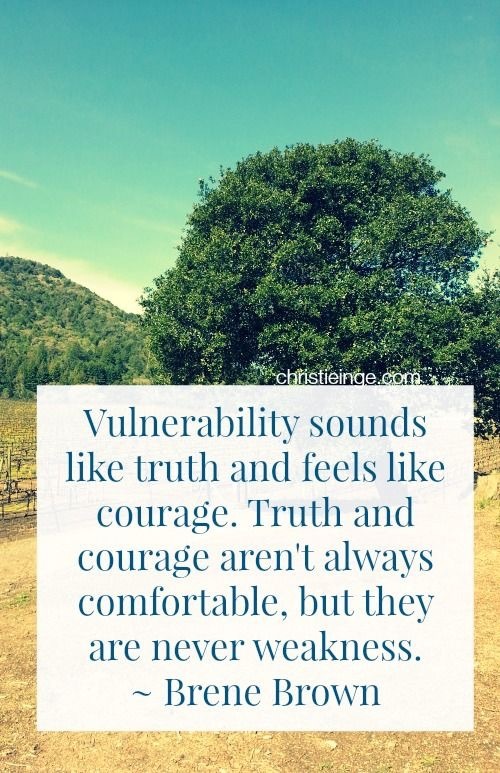 Our vulnerable moments are our personal truths. Vulnerable moments are standing with another without knowing all of the answers. It’s also being present without advice. It’s giving our best without a plan. I find the less I try to hide my vulnerabilities, the easier I connect with others. The more they actually want to connect at a deeper level. There is more room for understanding and patience. That connection of our own truths is what we really seem to want in one another. Being present with our vulnerabilities also supports this behavior in others. We are all journeying through life not knowing what the next day will bring , how we will handle the detours, and how things will turn and change. We are all truly a bit messy and stumbling together. Our ego’s just have a tougher time admitting it. When we can realize none of us have all the answers, we can allow the space and compassion for our vulnerabilities and differences not only with ourselves, but with each other. Think about this, when you do business with another, are you more likely to move forward with those you have connections with? I find most people are more drawn to people that can show up with their honest vulnerabilities and be themselves. I know I like doing business with those that show me who they are. Those people may not be the perfect candidate on a resume, but when you interact with them, you know they’re not just trying to impress you by acting like someone they’re not. It’s often about the connection. In order to connect, we share our true selves. We certainly were not born the same; nor are our likes, dislikes, and personalities the same. So why do we insist on how things go or appear to one another? Are you sharing and connecting from the inside? Or are you judging appearances and labels? I always encourage you to go out and feel your best. What that looks like will be different for everyone. What we can do is allow those truths and hold the space for the vulnerabilities in each other. We rise and uplift each other by the energy, connection, and space we show up for in one another. When I listen to or study some of the very successful entrepreneurs and social media gurus they all seem to have that in common. They all are very honest about themselves and their vulnerabilities. I believe it has much to do with how they got to where they are. And where many people strive to be . It’s an emotional journey first. The next time you have a businesses presentation, an important meeting, or an agreement with another, rather than trying to appear perfect or without flaws, just be yourself: the truest version of you. See where the connection takes you and how your experience goes. The right people and energy will show up when the time is right. If the connection isn’t made, the time just isn’t right. Something better is coming. I sometimes find the connection is actually met and the timing with that person or persons will evolve down the road. Trust yourself and especially your vulnerabilities. Don’t be afraid of showing who you are. That is how people can connect with you. This can offer more authentic experiences in your life. A focused break is a dual exercise that can help you change the direction of troubling or distressing thoughts. When you find your mind driving you a little crazy focusing on negative thoughts, you can benefit yourself by taking a break and focusing your mind in a different direction. The focused exercise is how to give yourself a break from whatever is stressing you out. Although I did not come up with this idea/exercise myself, I have found it very useful through the years. And you can make it fun too. When you can give your mind something that you enjoy to focus upon, you have this little magical tool against the thoughts that are bringing you down. Just a small shift or change can turn your mind around to introduce some happy, peaceful, and joyful thoughts to help break the momentum. Sometimes our minds get a lot of momentum going on with thoughts that can be upsetting. It can be difficult to turn around because it’s easy for one negative thought and worry to trigger another. The next thing you know, your mind has spiraled into an abyss of negativity. Stressful thoughts and worry can not only be very draining and depressing, but not good for internal bodily environment as well. If you find yourself battling negative thoughts and stressful thoughts often, it can be nice to have a few ideas/tools to help you shift them around. You can do this focused break in many different ways, but the first one I want to introduce you to is a writing example. 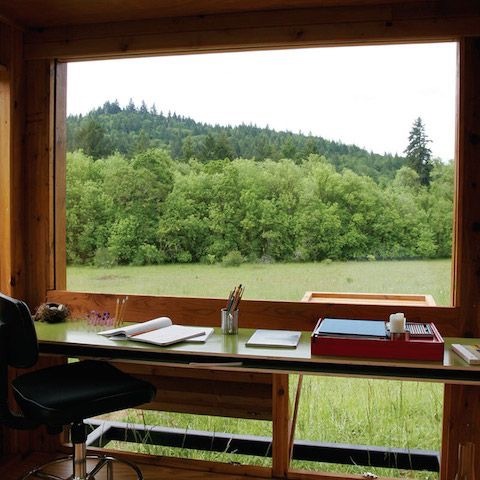 Sit down with a pen and paper, (or pencil, crayon, typewriter, or any type of writing apparatus you have available). You’re going to start a list of things you love. The goal is to get lost in the exercise, so do it in whatever way feels easiest and most natural for you, whether that means setting a timer or just taking advantage of a few free minutes as they come If you have a bigger window of time available, continue to write and list things you love until you feel relaxed, happy, and charged with more positive energy. If you can, try to give it a good 10-15 minutes for starters. Don’t think too much about it, just start writing anything and everything that you can think of that you thoroughly enjoy and love. Keep it simple and keep it focused. It’s like a little rampage of positive things. This leads to more positive thoughts and a change of energy. Even if the exercise only lasts a few minutes, that small time frame can give you enough momentum for a break in the troubling thoughts and a shift to some positive ones. This helps improve your mood by possibly giving your mind a break long enough to get some better energy going. Think of it like driving in a fast car going down the road and trouble is up ahead. You need to slow the car down to stop or turn around. It’s hard to turn a car going fast around unless you want to increase the odds of losing control of the car. Similar to changing the direction of a car with some momentum, you have to find ways to slow your mind down and give it enough “gas’ or energy to change directions. As I write this, I can hear the song in my head playing by the Eagles: “Take it easy… Don’t let the sound of your own wheels drive you crazy.” I think their lyrics mean a similar concept of how your mind can quickly take you down a road that isn’t always very helpful. Another way to change the momentum of your mind driving you crazy is to take it easy. This writing exercise is a nice way to take it easy for momentum change. The next time you find yourself struggling with negative, troublesome, or worrisome thoughts, try this little jewel and see if it turns a few feelings around for you. I’ll give you a small example for you. I love my family, my animals, my friends, my clients, the outdoors, my deck, my pool, massage, art/pottery class, the beach, pools, music, funny movies, wine, chocolate, cheese, bread, daisies, coloring, naps, tiki torches, campfires, sunshine, meditation, books, writing, deep breathing, walking, smiling, laughing, day dreaming, visualizing, helping, inspiring, gift giving, creating……… You are getting the picture. Now you go! There’s an old tradition attributed to certain Native American tribes in which a person hangs a small basket outside the entrance to his or her lodging, providing a place for guests to leave their personal problems or complaints before entering. (The modern equivalent might be telling someone to “check it at the door.”) The symbolism of the “burden basket” is empowering; it represents our ability to pull from our own inner strength and become self-reliant, trusting ourselves to let go of our baggage. When we can be responsible for the energy we bring to places, we affect our experience and those we come into contact with. When you leave your burdens in a “basket” you generate a lighter energy around you. When you complain and share your burdens everywhere you go, you bring your energy and those around you down. You get a better opportunity to be present and connect with the space and people you interact with when you can learn to put your burdens aside. Also carrying our burdens and sharing them in other people’s spaces breeds the attraction of more burdens to you. There is a time and place to process and deal with dramas and issues in our life, but often we don’t notice we carry them around with us and share that energy, drumming up more burdensome energy. We weigh ourselves and others down when we carry them rather than leaving them in a basket. If you practice carrying and sharing your problems and burdens everywhere you go, you may have to practice small steps to start becoming more aware of the energy you bring to other spaces and how you interact with others. Do you talk about the things going well when you see others? Or do you share mostly mishaps and woes? It is important to pay attention to what you are not only putting out, but the weight you may be carrying with you everywhere, everyday. The weight of anxiety, stress, and worry is a heavy burden to carry and not so uplifting for others. Pay attention to the language you use when you speak and catch up with others. When someone asks “How are you?” or “How have you been?”, where does your story go? Be mindful of the energy you share as you get to choose the energy to be in and attract back to yourself. 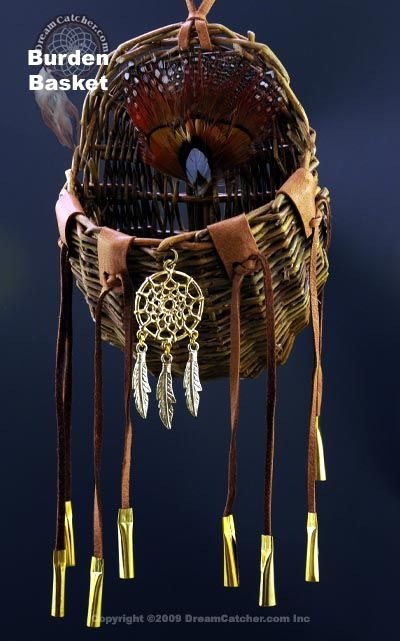 It may be an even more powerful and therapeutic ritual to buy or make your own burden basket. Sometimes when we go through the motion of writing, drawing, or a tangible action, it is a more powerful declaration for your brain. Some of us need a literal release and a step further than just a verbal intention. Even if it is just for a few hours or a day or two, try to practice the act of putting your burdens, problems, and worries in the burden basket until something helpful can be done. You give yourself a break from that energy to allow more possibilities and solutions in. You can allow more clarity to either deal with the situation better, or a higher vibration of ideas and improved solutions your way. I think you will be amazed at how your life can turn around and improve when you can put your burdens down for periods of time. Be mindful of the burdens you share with others. There are times and places that sharing and unleashing your burdens is beneficial, such as when you use a burden basket, therapist, or trusted friend that can hold a healthy space for you without taking on your burdens as well. What I’m describing is in your everyday life. We don’t generally solve every problem, every second of the day. It can be so very uplifting to lay our burdens down. It is healing and life-giving to lay some worries in our burden baskets behind. Give yourself the joy to spend better time with others. You may find yourself enjoying the break and removing much weight from yourself. That upliftment gives you the power to enjoy your day and time better along with being open for better things to come. I do believe your actions and self- reliance will rise up to meet you.